I love watching my girls grow and learn new things, but I would be lying if I said it wasn't super frustrating to teach little A her letters. She is my strong willed child, and insisted on learning it her way. No guiding of the pencil, just personal practice. I loved to watch her never give up, and finally master her name! 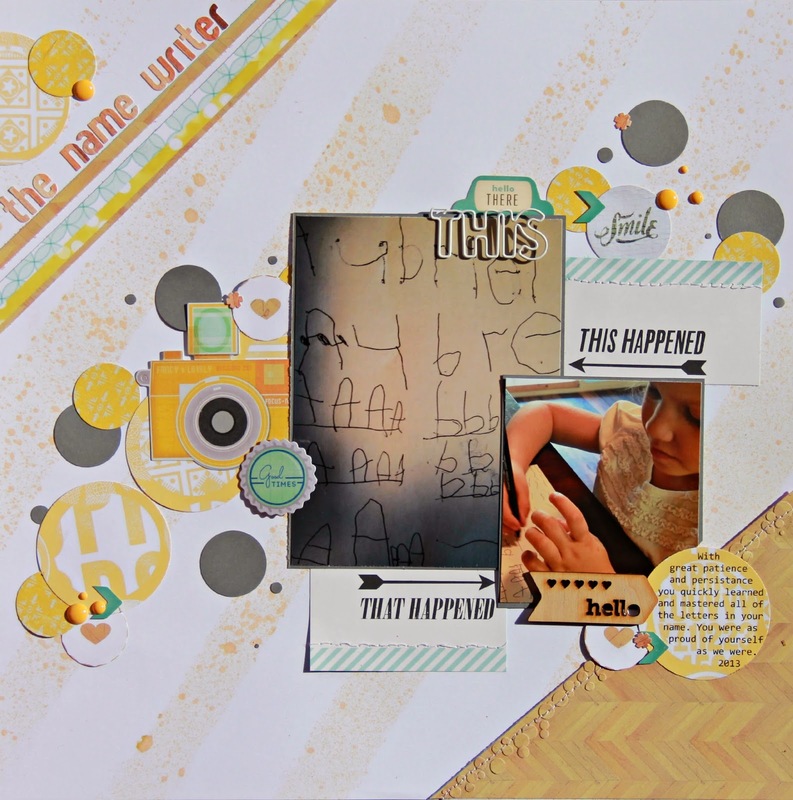 I created this layout by inspiration found on the scrapbook circle blog. Their mood board was so fun. I mimicked the arrangement of fruit in my background circles, and pulled the wood papers and confetti. Always great inspiration there! Thanks for stopping by friends. I hope everyone has a beautiful end to their week, and I will be back tomorrow(before a long day at the dentist), to share my layout for this weeks sketch reveal over at LCOM! super fun page and LOVE the misting and circles!!!! More summer blog hop fun! what a grand canyon i was!